Easter is celebrated as a religious holiday around the world, but also as an important time for families to spend quality time together. Easter, or Pâques (meaning Passover) is the second biggest holiday in France after Christmas and they have lots of their own traditions! Ancient French Catholic tradition says that on Good Friday, all church bells grow wings and fly south to the Vatican in Rome to be blessed by the pope. As a result, no church bells ring in France between Good Friday and Sunday morning. The bells arrive back to France on the morning of Easter Sunday, laden with chocolates for well-behaved children. They return to their churches and proceed to ring loudly to celebrate Easter. On Easter Sunday, families gather for Easter egg hunts (la chasse aux oeufs) and many communities host egg hunts for local children. One of the most famous Easter egg hunts in France takes place near Paris, in the gardens of an ornate French château, Château Vaux le Vicomte. Alongside the usual little chocolate eggs, one lucky hunter will also find an enormous chocolate sculpture! Join us for the bank holiday weekend for quality family time and enjoyable food and drink from our menus of classic French cuisine. Start celebrations with our refreshing April cocktail - the French 75. This classic apéritif of gin and fresh citrus is lengthened with Blanc de Blancs sparkling wine. On Good Friday, as is traditional, why not try one of our various fish dishes? We recommend the Pan Roasted Haddock fillet from our April Specials menu. Wrapped in smoked French bacon, it is served with braised Puy lentils, wilted baby spinach, dill and beurre blanc. On Easter Sunday, our Lamb Rump, with courgettes, vine cherry tomatoes, broad beans, petit pois, chive potato purée and a veal and thyme jus, is the perfect choice. We will also be serving our breakfast menu every day until 1pm, throughout the bank holiday, if brunch is what you fancy. For the little ones, we’ve got a dedicated children’s menu with smaller sizes of Côte favourites. Perhaps they’d like a Ham and Gruyère Croque Monsieur, served with frites, or our Roast Chicken Breast with gratin potato and green beans. With lots of choices, it’s a menu guaranteed to put a smile on their faces. 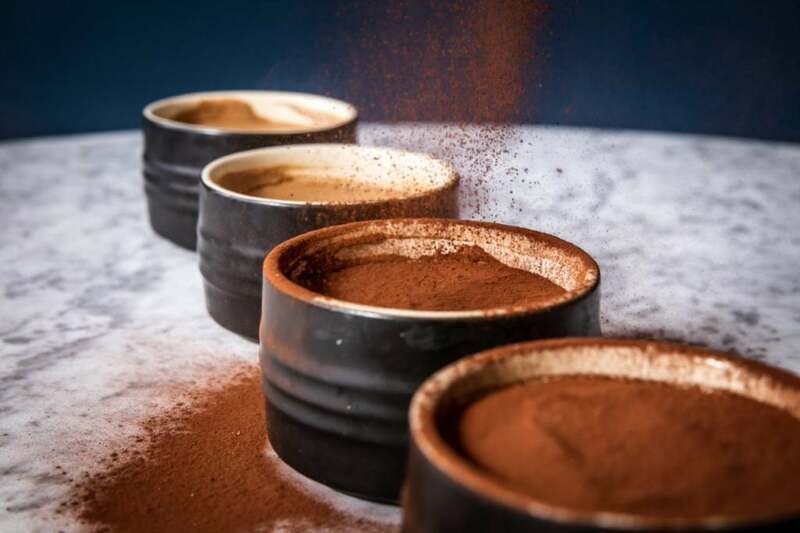 It wouldn't be Easter without chocolate so why not join us this bank holiday weekend and you and your guests can enjoy a complimentary Dark Chocolate Mousse. This rich and decadent dessert is freshly made by our chefs each day from high quality ingredients. Simply book through the button below to choose this offer when you dine from our À La Carte menu.